We raised over $2000 for our gardening programs! Last weekend the community gathered for our 8th Annual Indigo Plant Sale. The plant sale funds our campus garden facilities and classroom gardening activities. 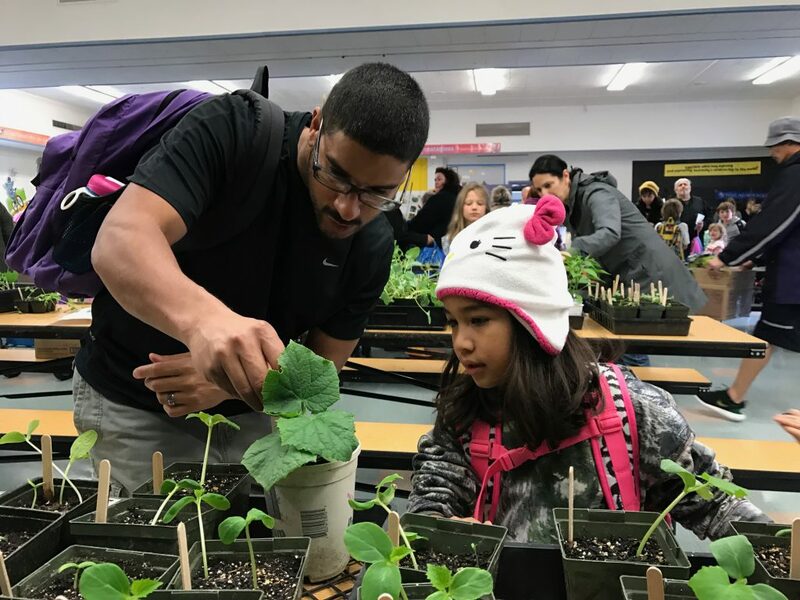 Indigo families, friends, and neighbors chose from a variety of organic, GMO-free, and heirloom plants, vegetables, flowers, and herbs grown by our students. Many went home with wagons full of seedlings to start their spring gardens! Others are trying out window herb gardens or backyard containers gardens for the first time. The Santa Clara County Master Gardeners, UCCE Master Composters, and Santa Clara Valley Beekeepers Guild were all in attendance to answer gardening questions.